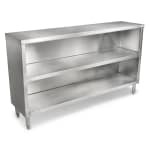 The John Boos EDSC8-1848 enclosed work table protects dishes, supplies, and other stored items with its enclosed design. A middle shelf adds extra storage space and is fixed to prevent it from coming out. Since the top has been TIG welded, it is heavy duty with a uniform appearance. 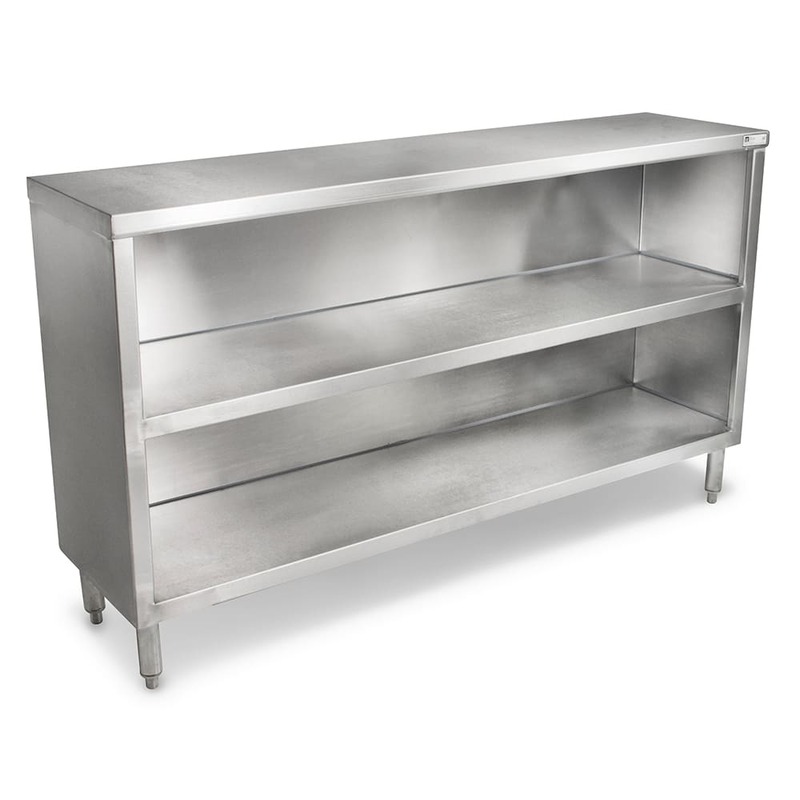 The John Boos EDSC8-1848 dish cabinet is ideal for commercial use since it is made of durable stainless steel. Adjustable bullet feet keep the unit steady on uneven surfaces. More benefits and features of work tables can be found in our work tables buyers' guide.